SPARTA — The thought of not having a Thanksgiving dinner is unfortunately a reality to some people in this area and throughout the country. The thought of not being able to sit down with family and friends and enjoy a nice, hot plate filled with turkey, mashed potatoes, stuffing, vegetables and other great food choices is something that should not happen. 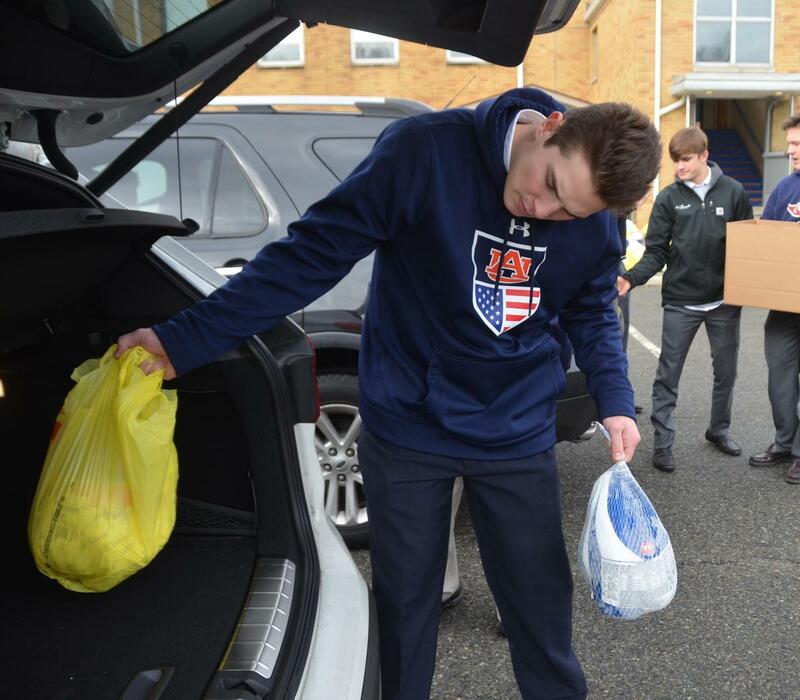 The latter thought drove members of the Pope John XXIII Regional High School community on Tuesday as they were participating in the school’s annual Thanksgiving Food Drive. With their help, along with family members, Pope John faculty and staff, the Knights of Columbus and Sutherland Packaging, they donated 140 food baskets to 11 local churches and volunteer organizations in the area and also helped out Straight and Narrow in Paterson in an effort to give those in need a Thanksgiving dinner this year. 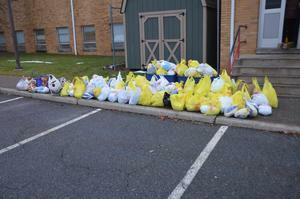 The school has conducted the food drive for over 46 years. 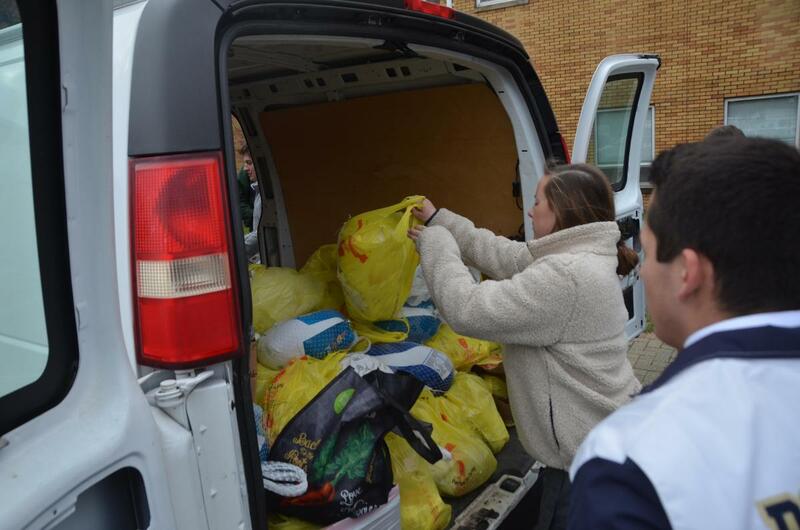 Each year, the seniors bring in turkeys, while the juniors, sophomores, freshmen and eighth grade students bring in canned vegetables, soups, meats and sauces plus pasta and pies. In addition, some seniors are given the responsibility to deliver the baskets and some juniors are tasked with packing the cars. This tradition has grown each year and the lessons that come out of it are ones that everyone will always remember, according to Pope John Supervisor for Academic Instruction Brian Vohden and Pope John Theology teacher Lee Imbriano. Like most years, the students began packing the baskets on Monday, going door-to-door in each of the nine Theology classrooms. Then on Tuesday, the students loaded the turkeys and baskets into the cars. 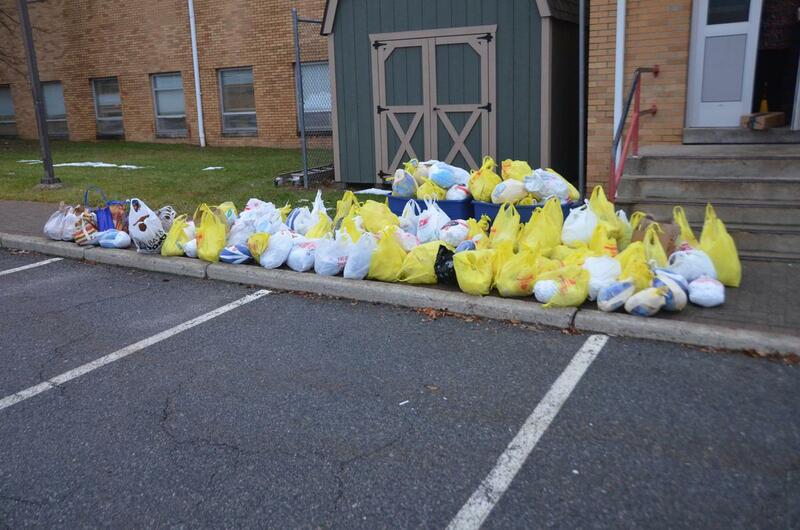 Once the baskets were packed, 82 senior students delivered baskets and turkeys to the following churches and organizations: Our Lady Queen of Peace (Branchville), Immaculate Conception Church (Franklin), Our Lady of Fatima (Highland Lakes), St. Jude the Apostle Parish (Hamburg), St. Jude Parish (Hopatcong), Our Lady Star of the Sea (Lake Hopatcong), Our Lady of the Lake (Mount Arlington), Samaritan Inn (Newton), St. Thomas (Oak Ridge), Straight and Narrow (Paterson), St. Thomas the Apostle (Sandyston), Our Lady of Mount Carmel (Swartswood). Hanley was thrilled to be a part of this tradition during her time at Pope John. “This is a great to be a part of because you are making a difference in someone’s life,” Hanley said. As for students like sophomore Mike Bello, he was excited to lend a helping hand by being one of the students who loaded the cars. 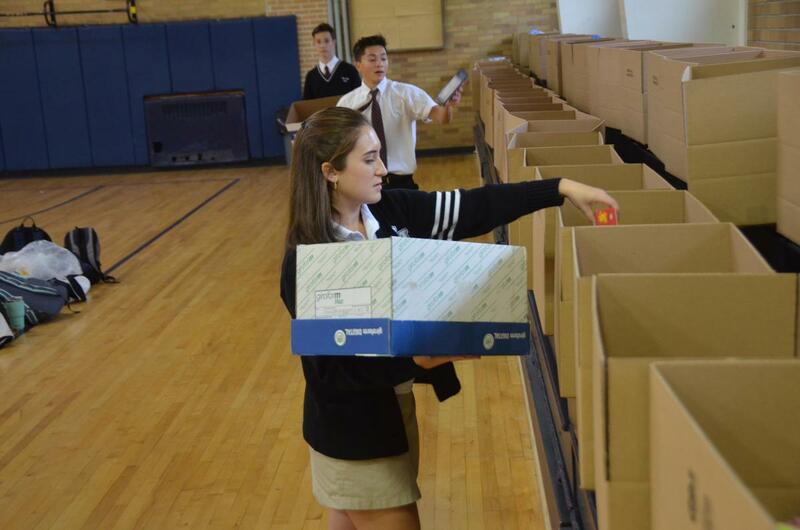 While there are still millions of people who will not have the chance to celebrate Thanksgiving this year, the Pope John students and the school community were happy to make a difference for all the families that will receive their food items. “It will give us something to remember when are having our own dinners,” Hanley said.